- On show at Ecobuild 2012 - GO TODAY! R8 NE Roof Windows are extremely popular for their high energy efficiency, having an amazing thermal efficiency rating of Uw=0.84 W/m²; This is acheived by having a WD Thermal Insulation collar to prevent heat loss between the window and the roof, and having BluelineNE Self-cleaning glazing - a Krypton gas filled Triple-Glazed Unit with precious-metal coated safety-glass panes for ultimate energy-efficiency. Designo R8 NE is the ultimate energy efficient roof window for energy-efficient construction, and passive energy buildings. 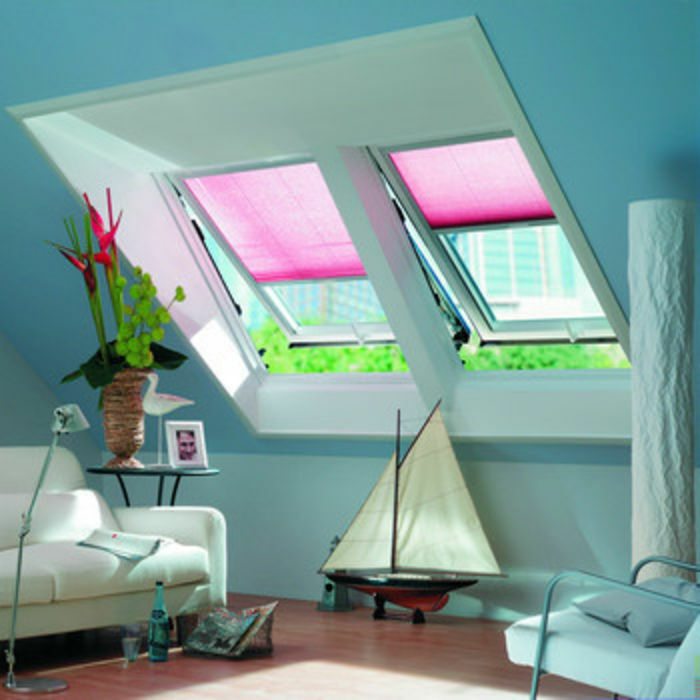 Made from foam-filled and steel-reinforced PVC componnents, these roof windows are top-hinged to give the most headroom, and many sizes can be used as MOE - means of escape windows.